Conrad Grebel University College will be releasing its 50th Anniversary book, Bridging Mind and Spirit: Conrad Grebel University College, 1963-2013, at its anniversary weekend on August 23-25, 2013. The following text is from the Foreword and Introduction to the book. 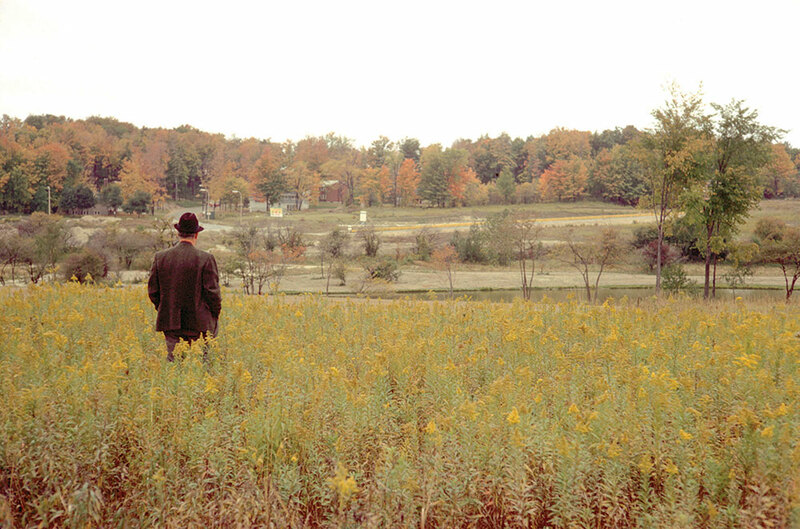 In 1963, Milton Good, the first board chair of Conrad Grebel College, looked out across Laurel Creek at the College building site. Fifty years ago, a handful of visionary leaders from four Mennonite groups broke ground on a barren, sandy field on Westmount Road in Waterloo, Ontario. The year 1963 marked the beginning of Conrad Grebel College—the first and only Mennonite liberal arts college in North America to adopt a hybrid model of education. As the Conrad Grebel community discovered from day one, our students and faculty can take advantage of all the opportunities of an outstanding research university—the University of Waterloo. At the same time we experience all the values of living and learning in a Christian liberal arts college committed to community-building, active peace-making, compassionate service, and global engagement—cornerstones of our Mennonite heritage. Conrad Grebel has forged a remarkable success story out of this unconventional “best of both worlds” innovation. The beauty of this “both/and” perspective is palpable to all who step into the College chapel. The Mennonites’ long history of paradox is reflected so beautifully in its iconic stained-glass windows. Flames of light representing purity and persecution; grains of wheat and flowering plants representing our idyllic rural, agrarian past; and the piercingly bright, rich colours and asymmetrical shapes of the stained glass representing a bustling urban, post-modern future. The kaleidoscope of colours and asymmetrical shapes of the Chapel windows also symbolize for us that education at its best looks inward and outward; it seeks not to divide but to connect mind and spirit, arts and science, study and play, relational and intellectual values. The Grebel ethos from the classroom to the games room is built on meeting the strong push of specialization with the gentle pull of community accountability. In short, in its first fifty years, Conrad Grebel University College has defied conventional classification. It is both big and small, full of prestige and personal attention, at the cutting-edge of career preparation and engaged faith formation, and a place to form research teams and life-long friends. In an act of prophetic boldness, the early innovators called the College’s first president from the prairies of Kansas. J. Winfield Fretz was a professor for 20 years at Bethel College, the oldest Mennonite College in North America. When Fretz arrived in Waterloo in the spring of 1963, he hit the ground running with a new look (his trademark bow ties), a new discipline (sociology) and an innovative mind-set (within a year he had co-founded the Mennonite Credit Union and before his first term ended ushered in the Mennonite Relief sale). Fretz started Community Supper, a mid-week meal that brought faculty, staff and students together. A hallowed tradition fifty years later! The round tables in the dining room were the result of extensive discussion. “Round tables,” Fretz said, “rather than square tables, allow all people, whether it is two, three, four, five or six to face each other directly.” Fretz also changed the architectural plans for the residence building, arguing they were too ordinary. A new plan was submitted to his liking: a saw-tooth roof line design, which has been preserved through today, giving Grebel its distinctive “Swiss chalet” look amidst the larger industrial campus landscape. Over the course of half a century, this innovative experiment in higher education has yielded significant growth. In the fall of 1963, Grebel offered two classes: The Left Wing of the Reformation and The Sociology of the Family. There were 38 students and 2 faculty, which included the College president. Today, Grebel has 4,200 enrolments in 130 courses annually in the Faculty of Arts at the University of Waterloo. Over 330 students associate with Grebel student services and residence life. Grebel now boasts two graduate programs, 14 full-time faculty, 33 part-time faculty and 38 staff. 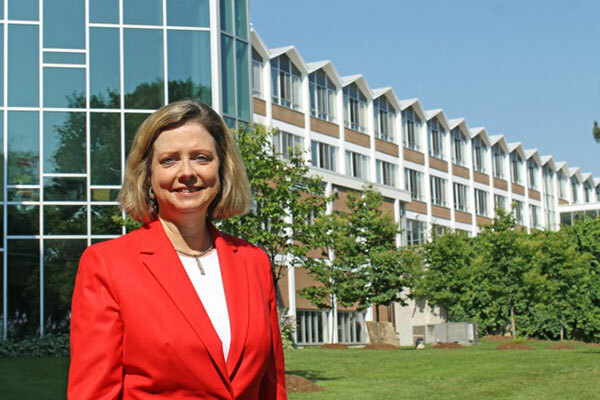 The college boasts 16 years in a row of balanced budgets and endowment growth. We aspire to grow and deepen Grebel’s mission around people, programs and facilities. 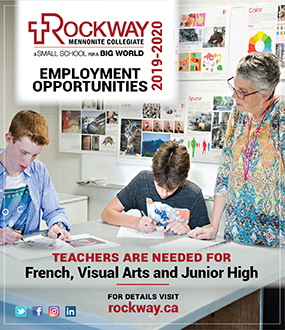 We are in the midst of major faculty retirements and replacements, aiming to recruit and mentor 8 faculty hires in 3 years; we have started our second graduate program, a Master’s degree in Peace and Conflict Studies, and as I write we are well into the College’s 5th capital campaign—an $8.7 million dollar academic expansion project with a record $6 million in gifts raised or pledged while simultaneously hitting our annual fund goals. This year the new Quantum Nano Centre at the University of Waterloo opened to much fanfare. The world-renowned physicist, Stephen Hawking, was on hand to proclaim Waterloo as “the next Quantum capital of the world!” Importantly, this celebration of scientific innovation at Waterloo occurred on the same day as we hosted “International Peace Day.” We are also building excitement for a new kind of innovation: the Mennonite Savings and Credit Union Centre for Peace Advancement. Created to capitalize on Grebel’s pioneering programs in peace, we aspire to develop a bold experiment in social innovation, a collaborative imagining of diverse peace partners committed to building healthy communities at home and around the globe. As a valued member of the Grebel community, I invite you to partner with us in thinking boldly, passionately and creatively about Grebel in 2013 and beyond! Small college set on a hill. Where tradition and innovation meet. All these taglines have been used at various times to brand Conrad Grebel University College, and all are good ways to describe the College’s character and identity. All these descriptors point to some kind of duality that characterizes the College and hint at the presence of a bridge between the elements. All these phrases illuminate the uniqueness that is Conrad Grebel University College—a church-affiliated liberal arts college located at, and deeply integrated into, one of Canada’s most highly ranked public universities. The history of Conrad Grebel University College (known as Conrad Grebel College until 2001) is one of continuity and change. People have come and gone. Buildings have aged alongside new additions and renovations. Programs have emerged and grown, been altered, and in a few cases, ended. Eras of health and stability have been interspersed with periods of difficulty. The student body has changed constantly and leadership has changed, as seven presidents have held office in fifty years. But while the people have changed, and societal shifts have altered the ways of dealing with issues, there is a certain surprising and indeed comforting constancy to meeting the challenges. The cycles of change have been held together by a sense of continuity—in purpose, in mission and mandate, and in the “bridging” at the heart of Conrad Grebel’s identity. Indeed, the most notable continuity in the College’s history is the ongoing balance of dualities that could sometimes be in tension: the church college and the public university; the school and the denomination; the residence and the academic program; the liberal arts and the technical programs; women and men; the Mennonite and the non-Mennonite ratio in all aspects of College life. While these dualities sometimes appeared as problems, they also indicated the unique position and opportunity that is Conrad Grebel. The first and primary dualism to present itself was the unique relationship between College and University. While Conrad Grebel was a church-initiated project and remains closely tied to Mennonite Church Eastern Canada, its genesis was a response to a clear invitation from a public educational institution—the University of Waterloo community. From the beginning the College acted as a bridge between church and university. In 1967 Milton R. Good, first Board Chair, summarized the College’s relationship with the church as follows: “Conrad Grebel College and its constituency have a relationship somewhat like a businessman with his customers. Each depends on the other to perform needed spiritual functions. The College provides educational and religious instruction, personal counseling, and spiritual guidance to students, while the constituency provides the students and the financial, moral and spiritual support for the College.” A similar interdependency characterized the College-University dynamic. That people had to cross a bridge to the University side of the campus—perennially described as “crossing the creek”—was symbolic of the bridging that the College did in that direction as well. Even so, interaction between these two sides to the Grebel community often produced the richest experiences. The two-pronged nature of the College identity necessitated continuous bridgebuilding, exemplified concretely when, in 2003, an atrium and third and fourth-floor catwalks were built to link the academic and residence buildings. If the bridges at the heart of Grebel’s identity were continuously under construction or repair, they were nevertheless the structural features that allowed for the vitality and creativity that is part of the College’s 50-year history. Some of the dynamics and challenges marking the second decade of the 21st century emerged at the very beginning. The anniversary date chosen for Conrad Grebel University College is 1963, the year that the first president, J. Winfield Fretz, took office and taught the first classes—in classrooms on the University of Waterloo campus. But the seeds of a shared idea for Mennonite higher education were planted years before. 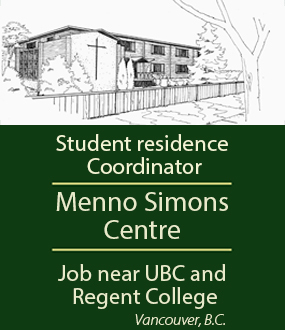 In 1959 a study group of Ontario Mennonite leaders was formed to explore the idea of establishing a Mennonite residential and teaching college in Waterloo. They were mindful that hundreds of Mennonite young adults were enrolled at universities across Canada and believed that the education of these students would be enhanced if they lived in an environment shaped by Christian-Anabaptist values. 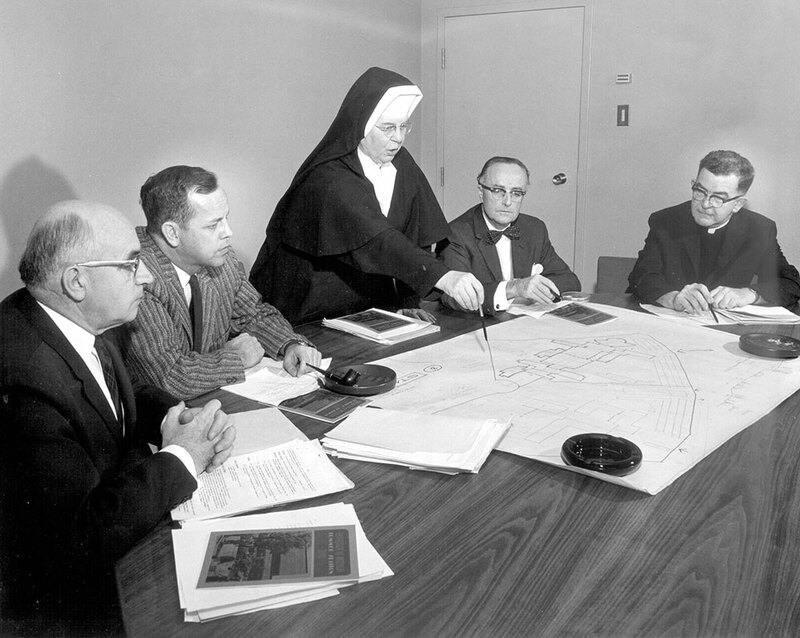 As the study group met repeatedly from 1959 through 1961 to map out their idea for a Mennonite college, the name of that future entity was one of the first issues to be dealt with. It seems there was no obvious choice. For instance, the College was very close to being called Marpeck College, after 16th century Mennonite leader and engineer Pilgram Marpeck, and with a possible location at the corner of King and Allen streets on Bauer Industries property in uptown Waterloo. There were other suggestions—Koinonia College, Prince of Peace College, Michael Sattler College. One early board member grudgingly voted for Conrad Grebel but scrawled at the bottom of his ballot, “Frankly, I’m not sold on any of these names.” By late January 1960, well before the birth of the College, there was strong support for the name Conrad Grebel based on the point that the man Conrad Grebel had become symbolic of the very beginning of the Anabaptist movement. They were embarking on a venture quite radical for its time, although it may be hard for us to see today how truly innovative their vision for postsecondary education was. It was very different from Mennonite college models that had existed in the United States since the late 19th century, and also in Winnipeg, Man., where two post-secondary Bible colleges had been established in the late 1940s. These schools were launched in part to separate Mennonites from a modernizing secular world. The Ontario leaders, on the other hand, affirmed the presence of Mennonite young people on a public university campus. Two of the College’s pioneers—Norman High and Earle Snyder—had already crossed this bridge by teaching at the university level in Ontario. The founding leaders were also furthering innovation in inter-Mennonite cooperation, bringing together a coalition of Ontario Mennonites that initially included representatives from the Mennonite Brethren Conference of Ontario, Mennonite Conference of Ontario, United Mennonite Conference of Ontario, Ontario Amish Mennonite Conference, Brethren in Christ Conference of Canada, and Stirling Avenue Mennonite Church (an independent congregation at the time). The provisional board of directors formed in 1960 had members from all six groups, although a year later the Brethren in Christ and Mennonite Brethren ceased their formal involvement. The remaining groups joined the 1988 conference amalgamation which today is known as Mennonite Church Eastern Canada. The cooperative endeavor did not come without hurdles, as each group had its own character and historic approach to education. But their shared commitment and excitement in giving birth to a totally new venture overcame differences of opinion. On April 21, 1961 a provincial charter was granted under the name of Conrad Grebel College. On October 14, 1961 the Board of Governors was formally organized, and two months later a formal affiliation agreement with the University of Waterloo was signed. And thus a College was born. Marlene Epp is Professor of History and Peace and Conflict Studies at Conrad Grebel University College. She is the writer for the anniversary book, Bridging Mind and Spirit: Conrad Grebel University College, 1963-2013. Susan Schultz Huxman stands in front of the atrium and the residential wing of Conrad Grebel University College. The Conrad Grebel College Board of Governors from 1964 (from left): J. Winfield Fretz, Earle Snyder, David Bergey, Mahlon Leis, Hugo Harms, Jacob Fransen, Orland Gingerich, Harvey Taves, Milton Good, Henry H. Epp, Roy G. Snyder, Douglas Millar, John Snyder, Norman High, John Sawatsky, Kenneth Bender (not in photo: Elven Shantz, Ernest J. Swalm). By the time the Mennonites were ready to build, this was the only church college spot left on campus. 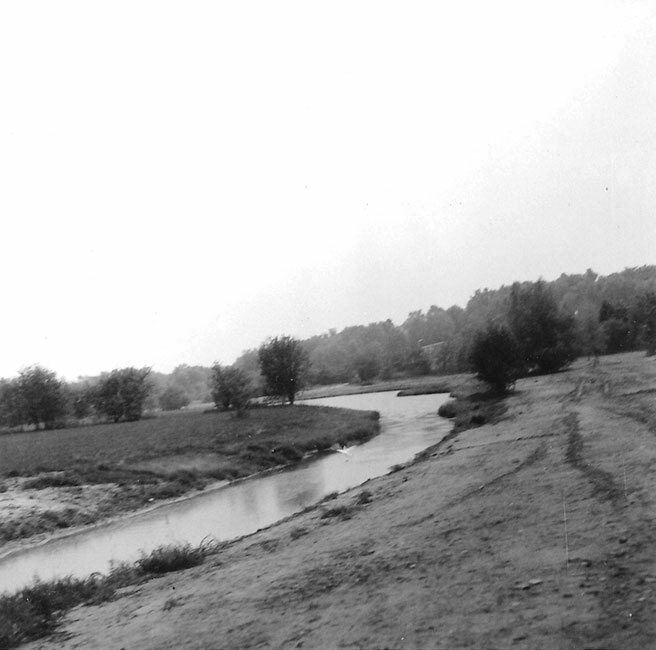 Once the University’s landscape plan enhanced Laurel Lake and its banks, the setting became idyllic.